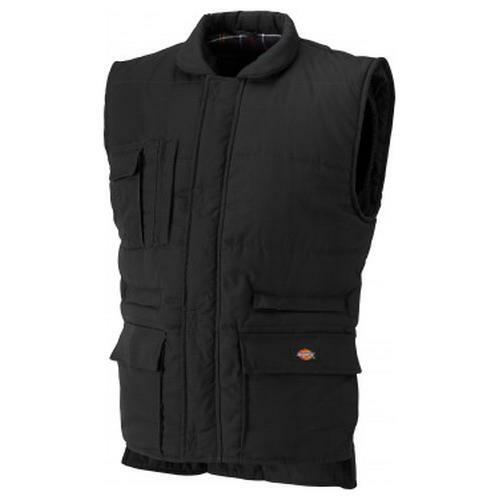 The Dickies BW11025 Professional Combat Bodywarmer is a true bodywarmer with good quality filling, warm lining and elasticated arm holes to keep out drafts. Useful front pockets on this bodywarmer can be accessed from the side for hand warming as well as the top alongside a vast array of additional pockets as detailed below. 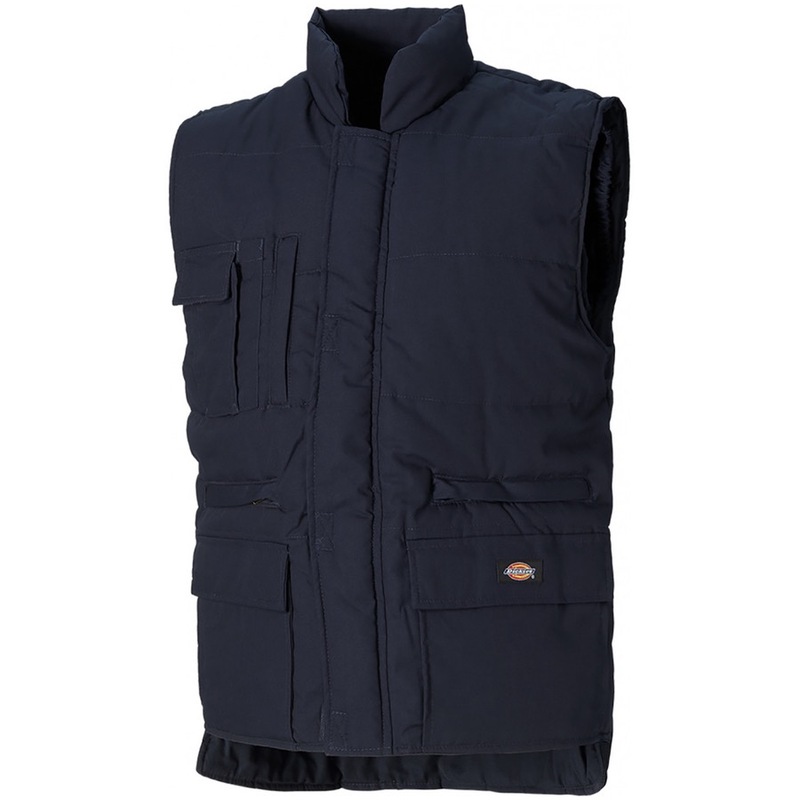 Outer: 65% polyester, 35% cotton twill with water repellent finish, 166gsm. Lining: 100% brushed cotton yarn dyed check.